Cabin Crew Jobs at Spicejet Walkins for Freshers on 10th March 2016. 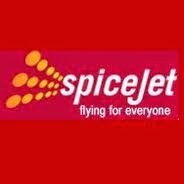 Spicejet Recruitment in Goa for freshers and Experienced candidates as Cabin Crew Position. Any Graduate freshers are eligible to attend this drive. Only Female candidates are eligible to attend this drive. Interested and eligible candidates can directly attend the walkin interview at the below mentioned venue. Under Graduate or Graduate in an discipline.